There are some wonderfully creative people in our lovely area, as well as in the surrounds stretching out to the north in Gladstone, and the south in Bundaberg. With both of these centres only an hour and a half away from Agnes Waters and Seventeen Seventy, you can have some great beach and relaxing time as well as a bit of market retail therapy – sampling the best of what this little paradise has to offer. The markets are listed in order of area, and all provide a diverse range of products – so have a browse and see what’s on while you are here! 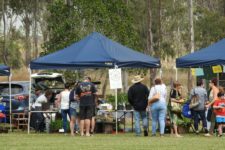 The Baffle Creek Community Markets are held on the second Saturday of each month from 8:00am – 12:00pm. Check out some of the local crafts and arts and see what Baffle Creek has to offer. 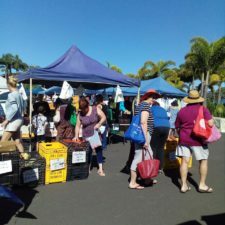 This market is run under the banner of the Bundaberg Region Winterfest, and offers a great opportunity to experience firsthand the wonders of the local fresh produce that the Bundaberg region has to offer. Be tempted with an array of food demonstrations, produce appreciation sessions, and of course some great local entertainment! Admission is FREE – so bring the whole family for a great day out. To get a sample of what to expect, you can look at last year’s program here. Nights at Lana’s enliven the senses with great tastes, cool entertainment, and a fun atmosphere. A selection of quality international and street food vendors, the Lana’s Place bar, variety stalls, and live music. 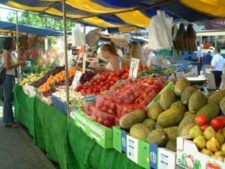 The market is open from early on Saturday mornings so you can come along and purchase quality fresh produce and products and enjoy some delicious cuisines for breakfast, brunch, or lunch. PLUS great coffee and a friendly atmosphere. Shalom Markets have a huge range of stalls including everything from Fruit and Veg, Trash and Treasure, plants and seedlings, lollies, honeys, salami, ladies & vintage clothing shoes bags & hats, home-wares, soaps/oils, baby/children’s clothing & accessories, second hand furniture, tools, bric-a-brac, books, and so much more. Shalom Markets offer plenty of parking, great facilities including disabled facilities, ATM and the canteen & BBQ runs every week. Each week is different with an array of unique stalls, as well as our loyal regulars. 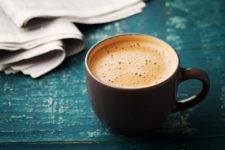 There is also a permanent coffee shop, takeaway food and BBQ operating, as well as Hungarian langos, espresso coffee van, donuts, ice-cream, and slushies! The PCYC Market has stalls selling plants, woodwork, jewellery, handmade craft items, homemade cakes, slices, biscuits, jams, preserves, honey, handmade cards for all occasions, clothes, toys, books, candles, soaps, health products, new and used goods and much, much more. The canteen is open from 7.30am for breakfast, bacon & egg rolls, toasted sandwiches, hot and cold drinks, ice-creams etc. As well as our regulars, there are new stalls each month – so always something different to browse. If you are looking for a relaxing morning out, then come down to Civic Avenue and say hi!. 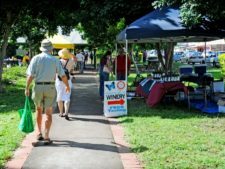 Held in the heart of Gladstone’s Central Business District at Library Square, Gladstone residents and visitors can purchase delightful fresh produce, handmade arts and crafts and much more at the City Farmers Markets. When you’re done browsing (and buying) at the Markets, there are a number of Restaurants and Cafes in the Central Business District area that will tempt your taste-buds. Come and enjoy the family friendly all-weather free markets held in the Kmart car park at Stockland Gladstone. 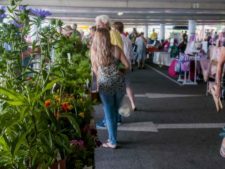 The markets feature fresh fruit and veggies, coffee, cakes, handmade children’s toys, food stalls and barbecues, ice cream, plants, handmade soaps, books, children’s clothing, jewellery and other bric-a-brac. The markets are held at the Gladstone PCYC from 8am to 12pm. With a variety of stalls including clothing, soy candles, fruit and vegetables, furniture and much more, there is always something for everyone at the PCYC Markets! All funds raised from the markets go towards the PCYC’s continued support for youth so be sure to head down, grab a bargain and continue supporting the region’s youth! Got the mid-week blues? 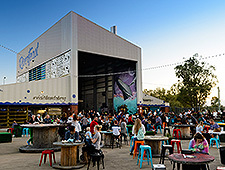 The Hump Day Markets will be held on the third Wednesday of every month. Have a browse around the market stalls and food vendors. There are music and children’s activities to keep everyone occupied! Hope to see you at the Toondoon Botanic gardens. 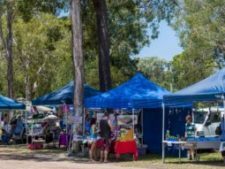 The Calliope Central Twilight Markets provides local artists, crafts persons, gardeners and muso’s with an opportunity to showcase their wares and talents in Calliope. The idea is to cultivate a family atmosphere where people can meet, socialise, eat out, browse stalls, be entertained all in a convenient location. 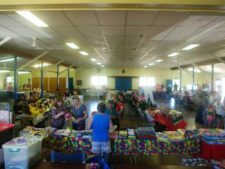 Calliope Rotary Market is held on the 4th Sunday of every month at the Calliope RSL Hall from 8am to 12pm. The Market showcases local art and craft businesses, featuring home made, home grown items including children’s clothes, accessories, adult clothing, jewellery, plants, home produce, honey, candles, soaps, hand-made cards, banners, artists, photographers, art/craft supplies, children’s craft activities, homewares/linens, knitting/crochet, blankets, soft toys, greeting cards and more! With over 40 stalls, pop down for a nice afternoon and see what your local community has to showcase! Beach Arts Music is a free community event held on the first Saturday of every month at Millennium Esplanade, Tannum Sands. Featuring food stalls, live entertainment, arts and creation stalls and lots more making this event an awesome family friendly outing. Don’t forget to bring your own chairs and eskies! 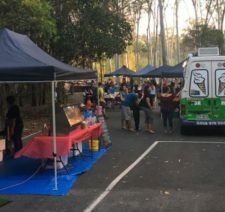 The Mount Larcom Farmers Markets is a community market that supports local farmers no matter how big their scale of farming is. The stall holders are housewives, families, farmers and local small businesses who preserve produce, grow produce and create amazing items for use. You will find at the markets, all kinds of preserved oils, hand made leather goods, plants, woodwork, arts, honey, candles, body creams, chickens and piglets for sale, coffee beans, soaps, organic meats and so on. Come along!